Like Mysteries? Buy my books! You'll love them, and their characters. Click a pic in the banner or scroll down for more info on each book. Sign Up For My Newsletter, which includes my Wit's End animated comic strip, and other Announcements! Writing & Publishing tips on occasion, too! Click the button below to be on the email list for my newsletter. by clicking the download link just below. Available in paperback (Kindle ebook coming soon). A potential presidential candidate is threatened by fringe assassins while visiting Yosemite National Park, and Josh Rogan averts catastrophe. Because of this and his special background, he and Ranger-partner Greg end up hired as special protection until the woman officially declares her candidacy. But all Hell breaks loose as they accompany her through Northern California, and Josh and Greg have to step up their game to make sure she survives long enough for the Secret Service to take over. Killings, kidnappings, karate, gang warefare....this book has it all! This is the third novel featuring world class (though modest) martial artist, adventurer, and Park Ranger Joshua Rogan. A rookie sailor and a grizzled “Hell’s Angel” type are thrown together by a dirty cop who’s accused them of murder. They have to overcome their dislike and suspicion of each other to work together and prove their innocence. Scroll Down to sign up for my email list -- writing and publishing tips! World class martial artist now park ranger Joshua must uncover and stop a criminal conspiracy eviscerating Yosemite bears and selling their organs. From the back country of Yosemite Valley to the back alleys of San Francisco’s Chinatown… Kidnappings, murders, gang warfare and treachery! Enraged by the senseless shooting of his wife and baby daughter in Oakland, Joshua vows to use all his martial arts expertise to track down the gang responsible. The police are uncooperative, the gang is vicious, connected and willing to torture and threaten death to him. 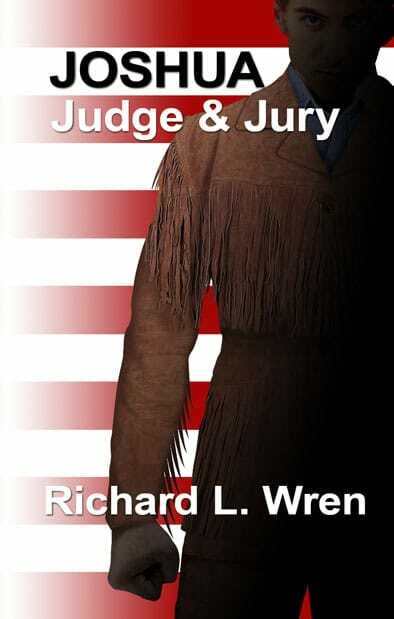 Can a Yosemite Park Ranger defeat a sociopath and his gang that kill for kicks? . An easy to use short and to the point book filled with all you need to know to get yourself writing and actually publish your book in hard copy and ebook formats. With links to the best (and worst) sites on the web, pointers to all the sources you would ever need, and a budget for getting published (well under $100 if you want!). Now in updated 2nd edition (April 2015). Available in paperback and as a Kindle ebook. Self-proclaimed sailboat bum Casey and former motorcycle gang chief Smitty are pulled into yet another murder, this time a 37 year old cold case. The gloating district attorney, with a vendetta against Smitty says it’s a slam dunk murder case against Smitty’s buddy Gus, based on DNA found in a re-opened case. But Gus claims he's innocent and has no idea how his shirt with his DNA was found at the murder scene. Smitty’s daughter, Josie, is married to Casey and is an assistant DA. In order to save Gus, she alienates the DA by quitting to join forces with Casey & Smitty as Gus's defense attorney. The DA has her physically kicked out of his office and swears to ruin her career. Casey, Smitty and Josie together with the motorcycle gang are forced to run wild to best the vengeful DA and uncooperative police. Josie must use all her legal guile to protect Gus. 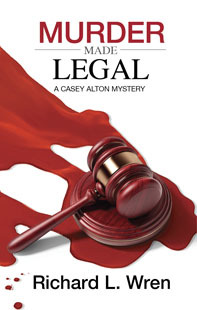 Casey and Smitty bend laws to the breaking point in their often frustrating search to find the actual killer..
More murders, kidnapping and general mahem happen. Casey and Smitty are captured and threatened with death by a psychopathic killer. Can Casey and Smitty survive and save Gus? The guys were hidden in the street. The searchlights with their crews were at the ready. The neighbors had all been warned to stay inside with their house lights off. They were under the misapprehension, fostered by Smitty, that it was a movie shoot and that the guns would be firing blanks.